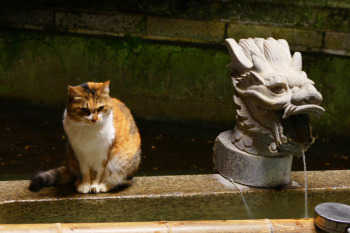 Not only the human but also many kind of animals, birds and imaginary creature lives in Enoshima Island and Kamakura. These animals are not rare at all, but it is able to see very close or able to find of the point of contact with the traditional Japanese culture. We introduce these small residents with many chances to see, in this page. 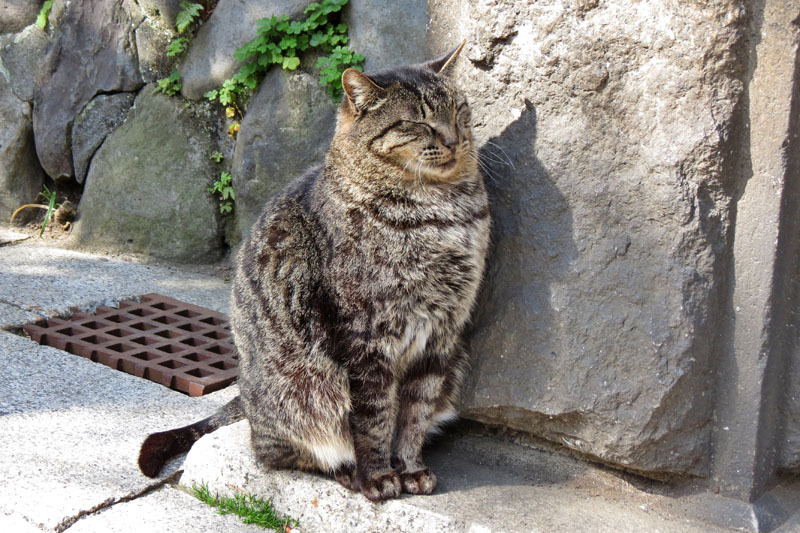 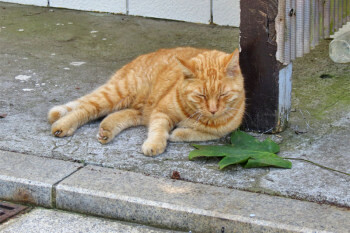 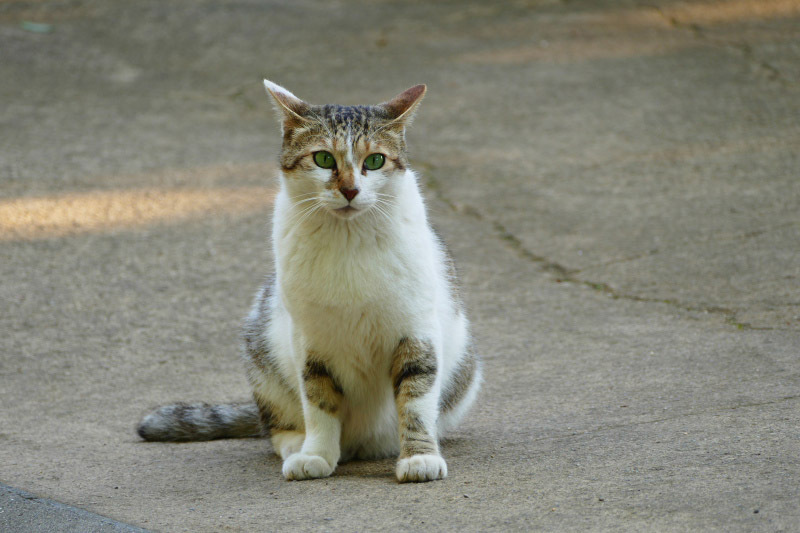 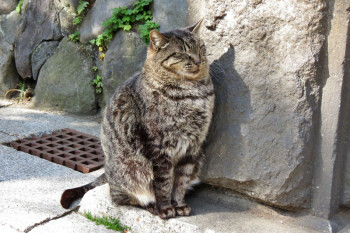 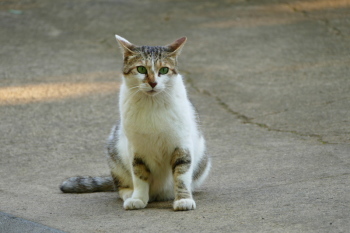 Cat [猫 (Neko) in Japanese] is the most popular animal in Enoshima Island. 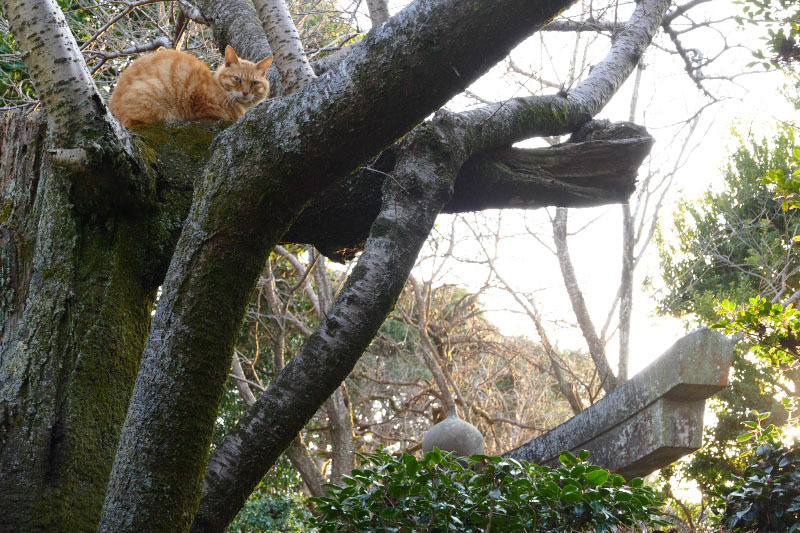 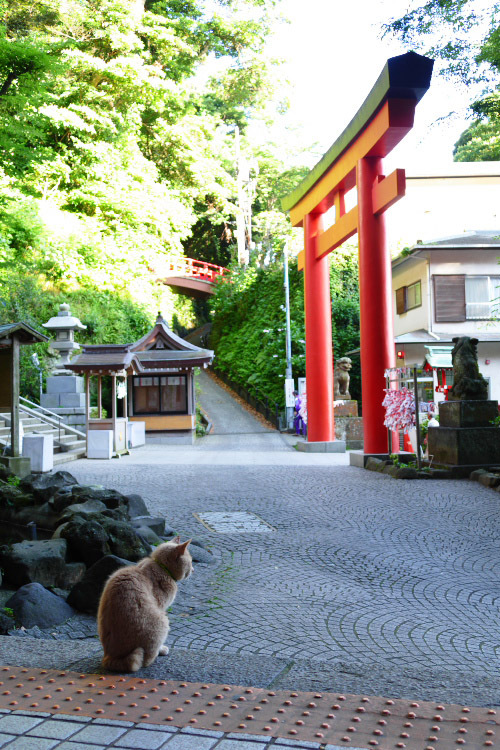 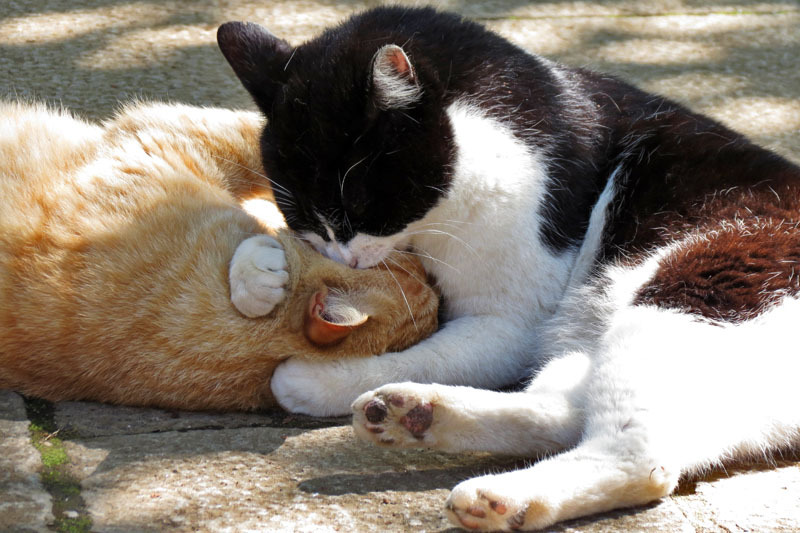 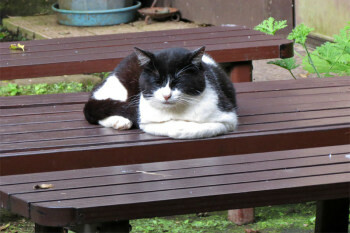 Because of many cats lives here, Enoshima is known and called as "Cat Island" too. 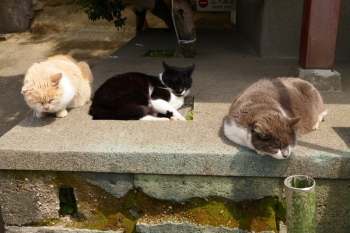 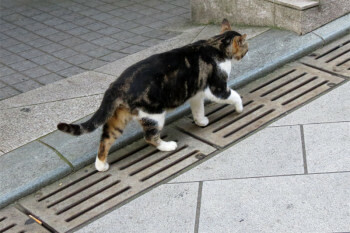 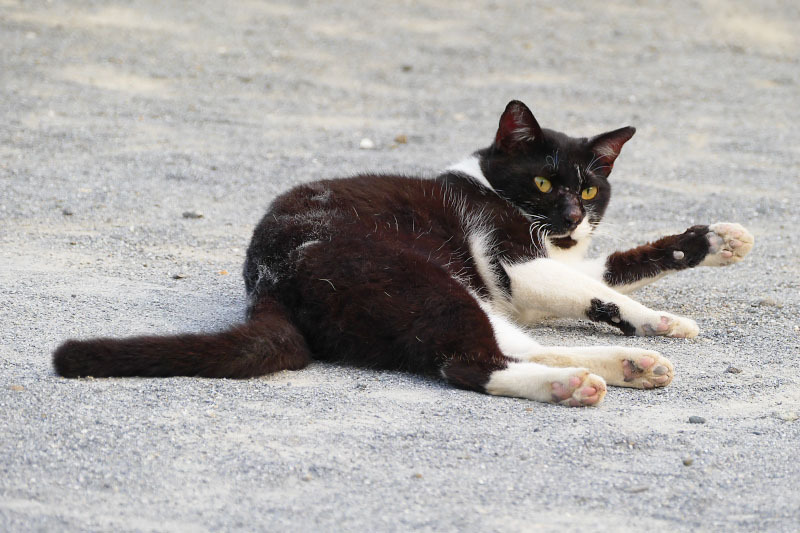 Probably you will see some cats while in the island. 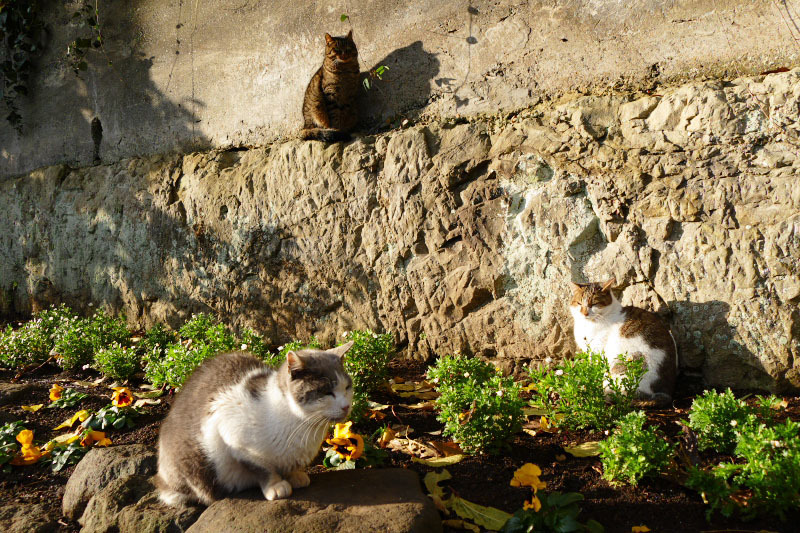 Originally, most of these cats were left abandoned here, and now cared by residents and visitors as local communally owned cat. 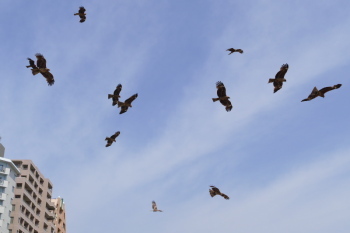 So they are very accustomed to people, and they don't run away and rather some of them are approaching even look at the people. 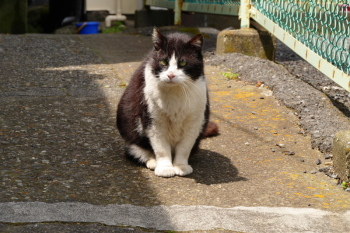 However, some cats had kidnapped one after another few years ago. 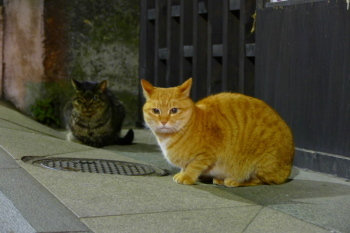 Therefore, we unable to give you detail info about "where you can meet these cats". 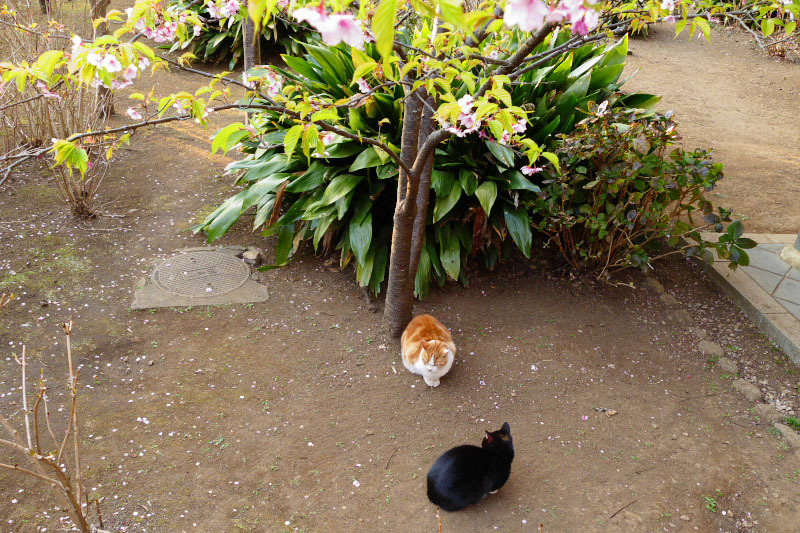 If you find these cats, you can get closer or stroke softly. But please do not absolutely giving the fear, such as chasing. In Japan, Turtle [亀 (Kame) in Japanese] is as a symbol of longevity and marital harmony from ancient times. 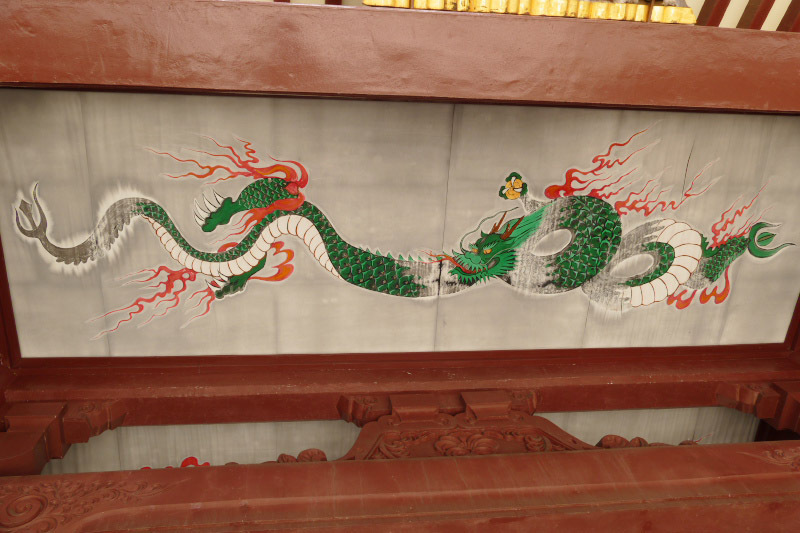 therefore it is valued as auspicious creatures, it drawn to shrines and temples frequently or has been breeding. 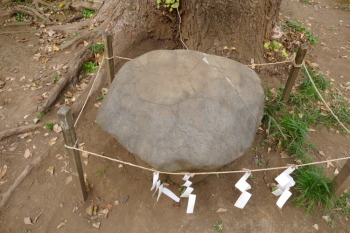 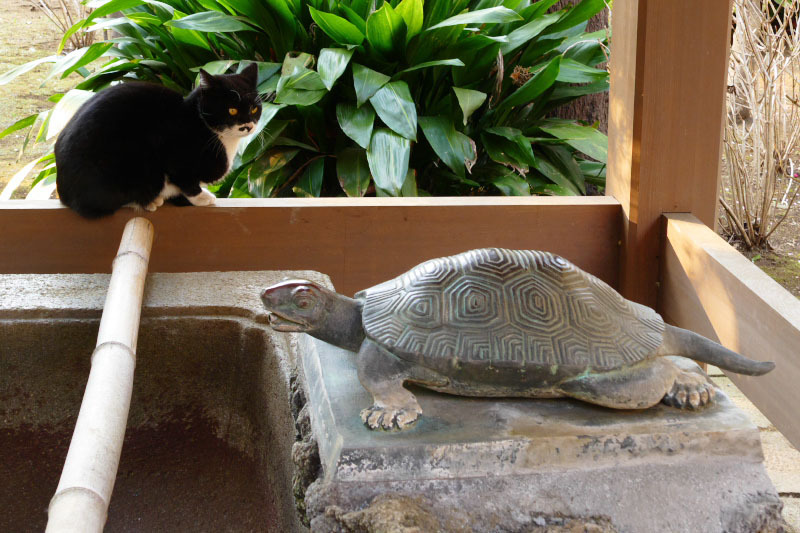 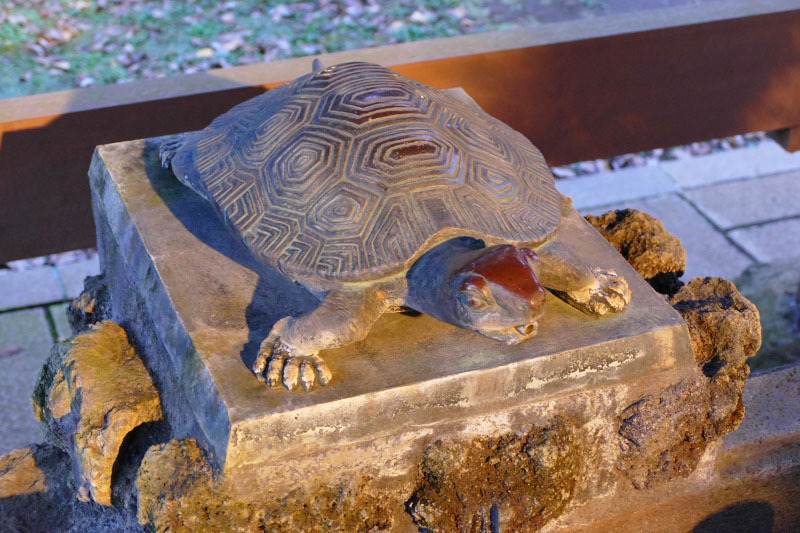 Similarly in Enoshima Island, Okutsunomiya Shrine owns a ceiling painting of the turtle and a stone looks like a shell of turtle called as "Kameishi" in the garden. 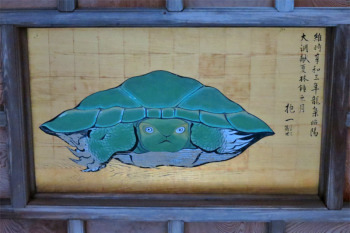 A ceiling painting of Okutsunomiya. Real turtle has been living in the pond is located along the road to Nakatsunomiya Shrine at Nakatsunomiya Garden. 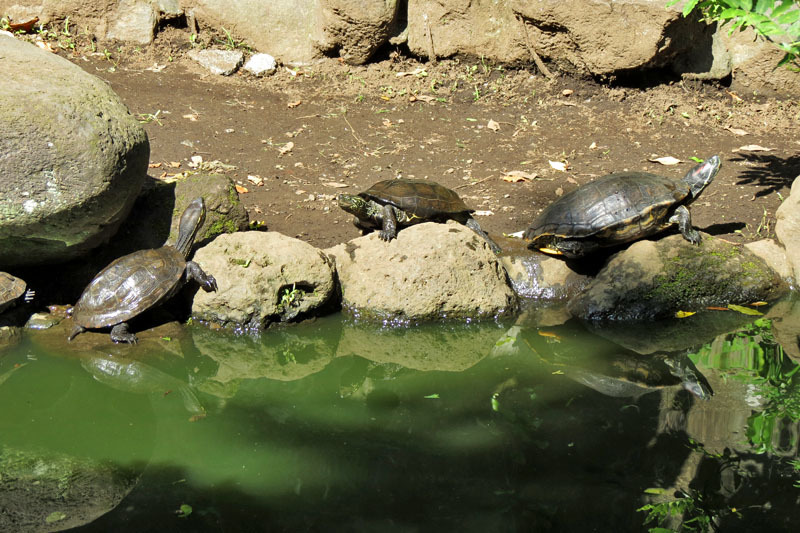 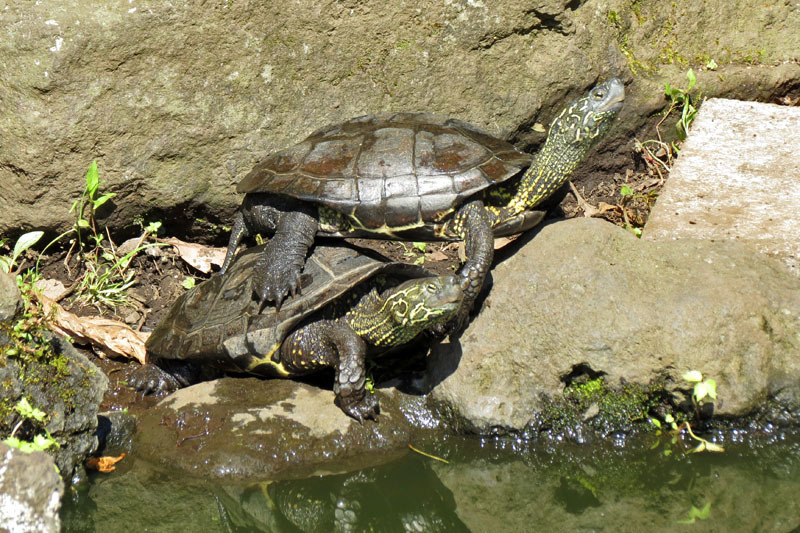 You can see these turtles are bathe in the sun when the weather is good. 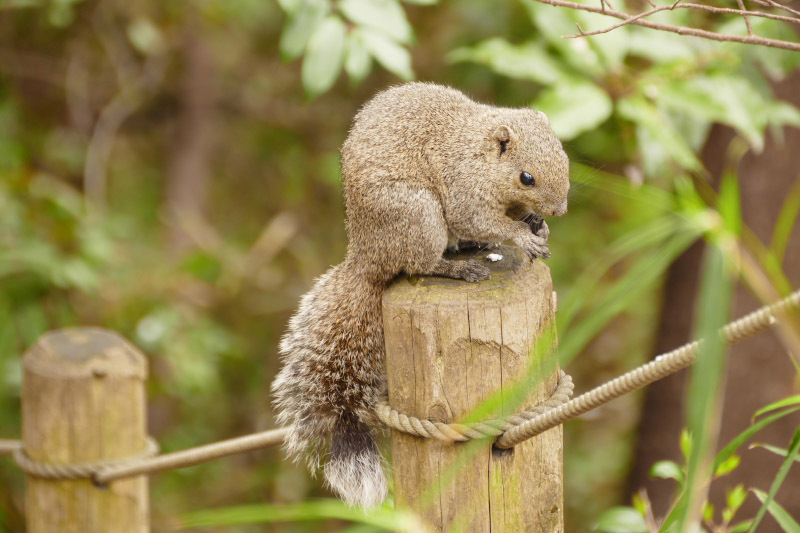 When you are walking the way in Enoshima Island, Hase and Kamakura, you may see a Squirrel [栗鼠 (Risu) in Japanese] crossing electric wire or the tree sometime. 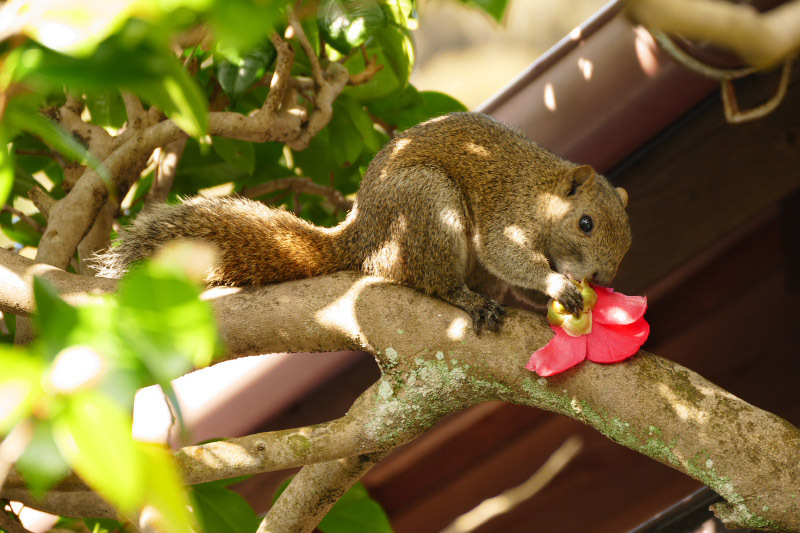 It is a kind called the Taiwan squirrels and not inhabit originally. 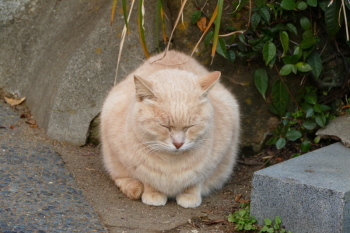 It had been bred at the zoo which was on the mountaintop of the island a long time ago, ran away and settled down. 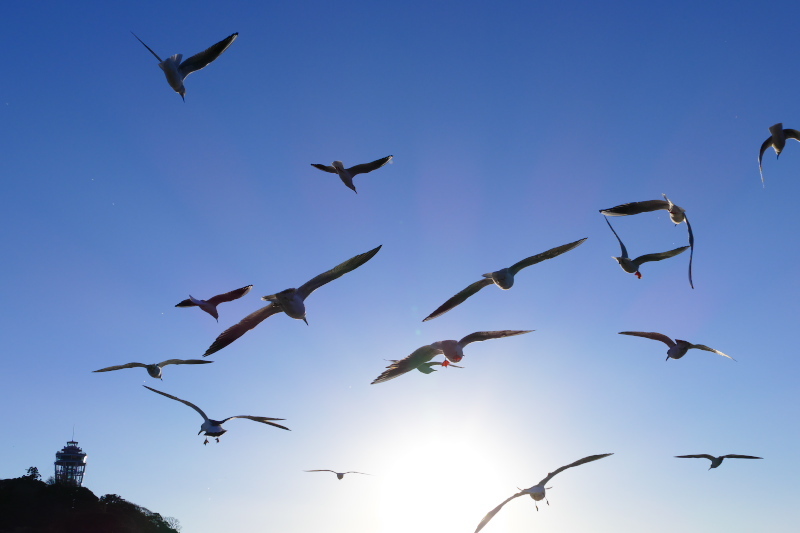 You will see big birds turning the sky and flying over the beach in Katase Higashihama, Katase Nishihama and somewhere in Enoshima Island. It is a Black Kite [鳶 (Tobi or Tombi) in Japanese] a kind of hawk and is a most dangerous animal for traveller. 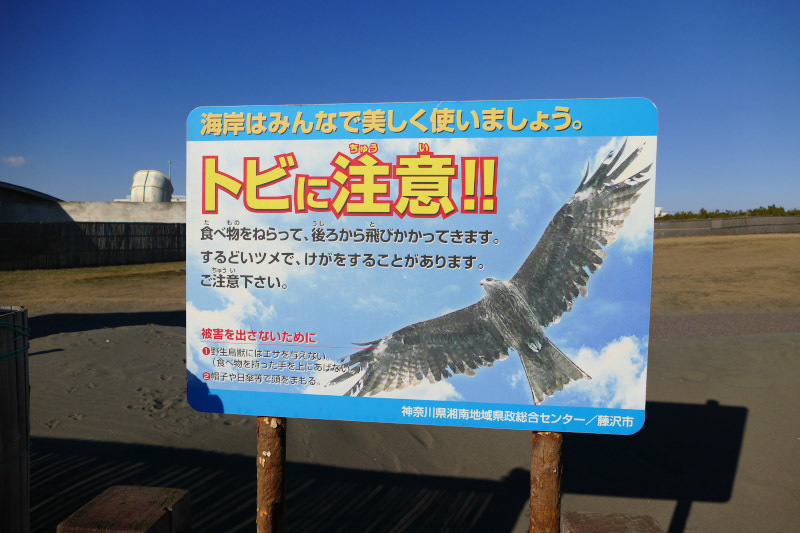 If you go to the beach, you'll find a warning signboard for them. 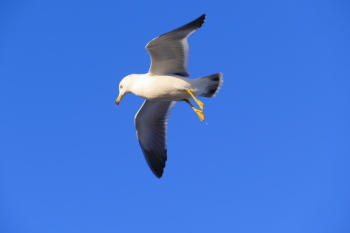 Sometimes they fly over near the head and surprise us, in order to deprive the food. There is often some people to be stolen the food, even if the injury by sharp claws and beak. So, you must not feed them! 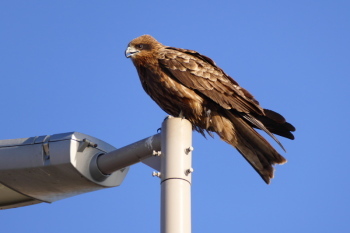 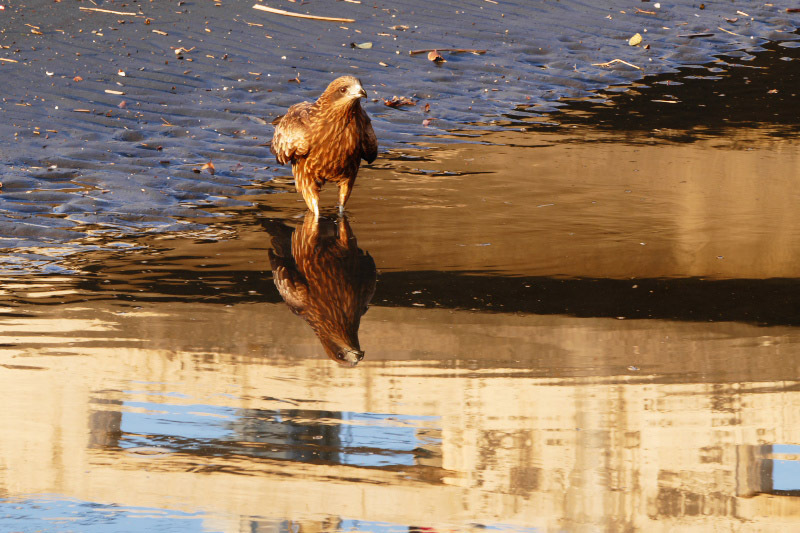 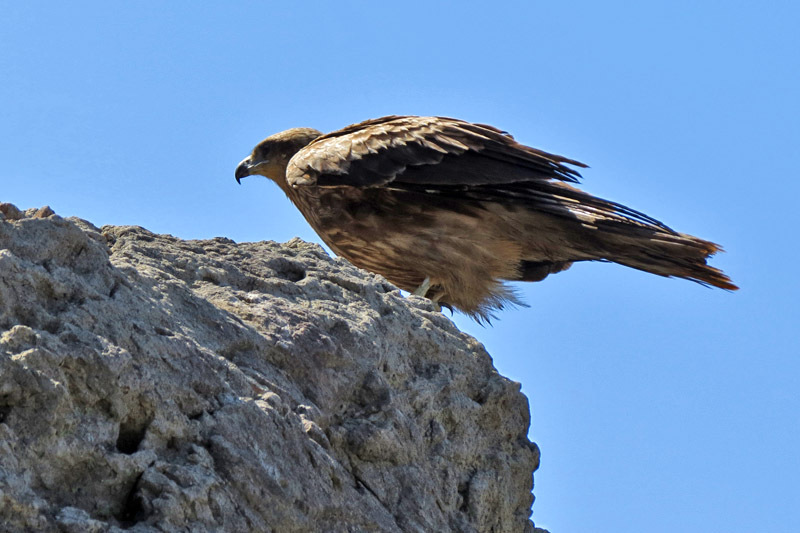 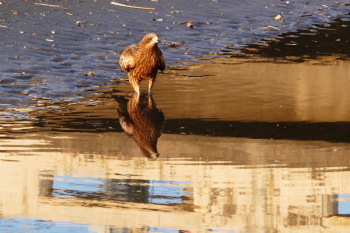 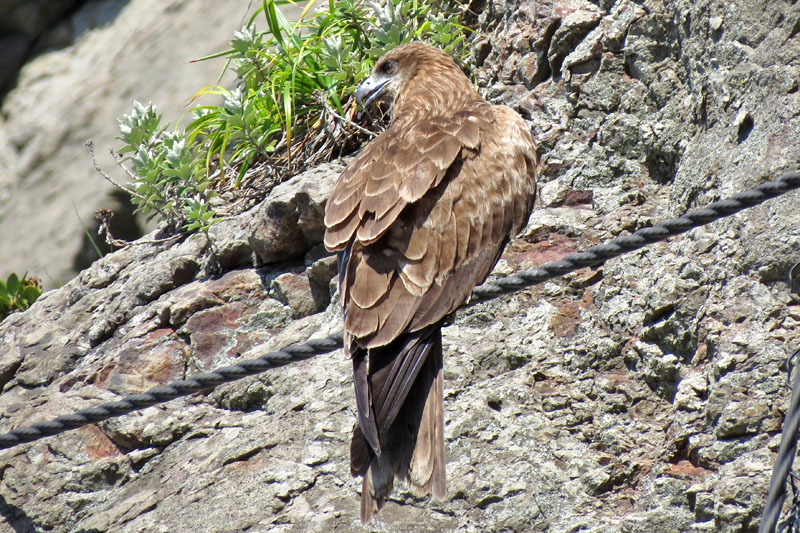 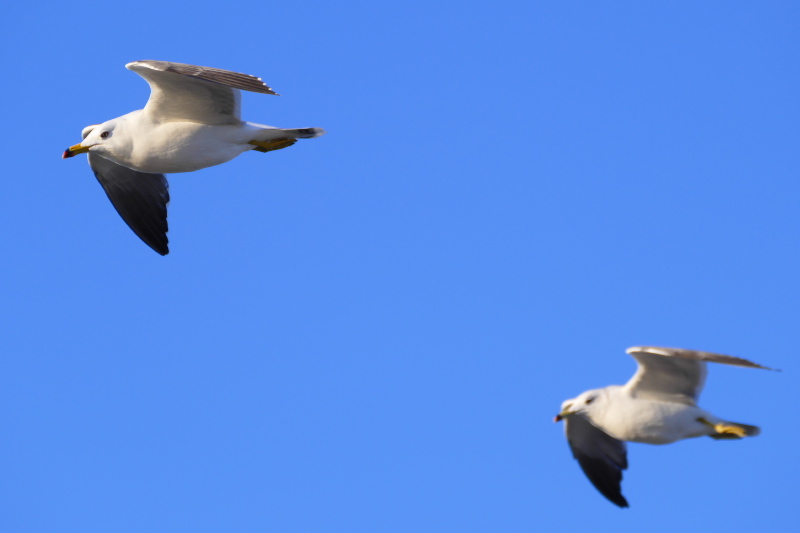 Usually, we can see the Black Kites at Katase Higashihama Beach, Katase Nishihama Beach and rocky coast near Iwaya cave. 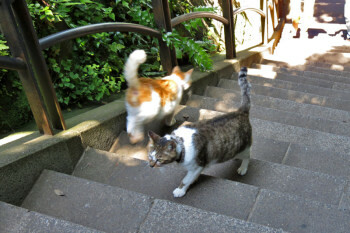 However, they come to appear frequently at Komachi Street in the center of crowded Kamakura City recently. 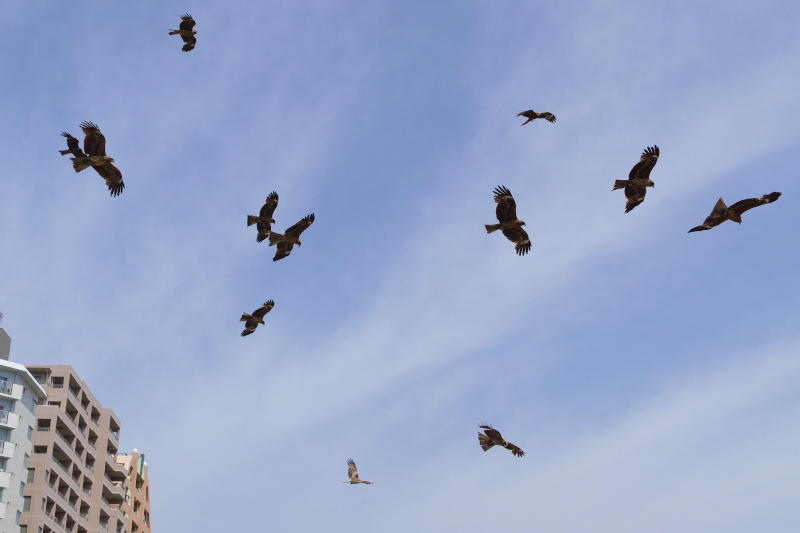 You need to pay full attention the sky. 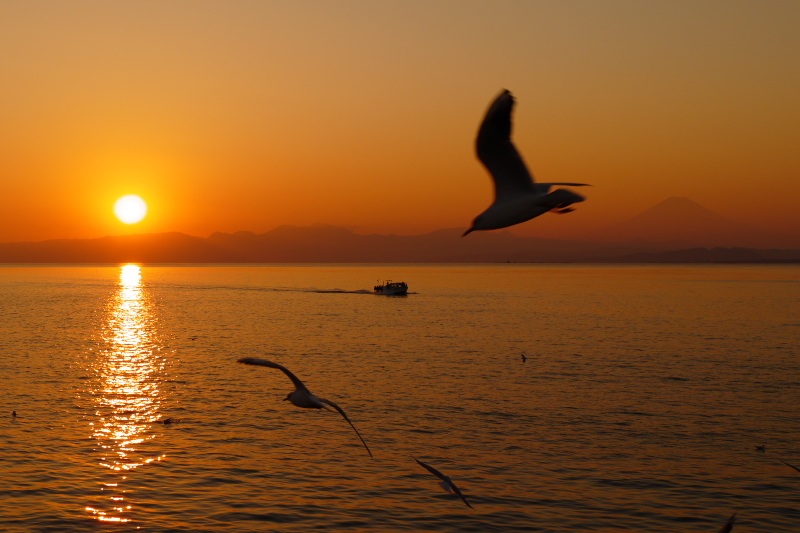 Seagulls [鷗 (Kamome) in Japanese] are often on the top of streetlights in Enoshima Bentenbashi Bridge or floating on the between waves in winter. 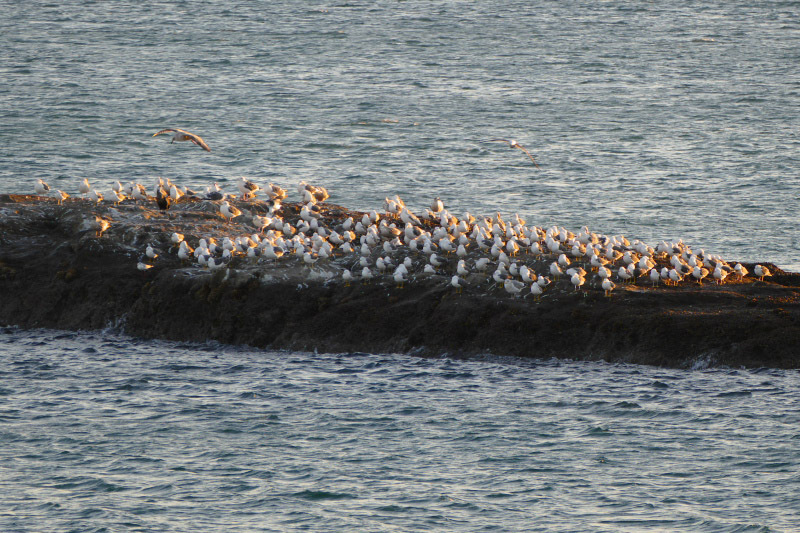 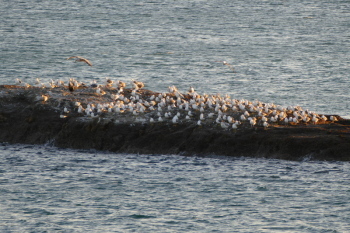 In the morning and evening, they make herd in a group on the sea or reef and sometimes they fly very near to Bentenbashi Bridge in the late afternoon. Dragon [龍 (Ryu) in Japanese] is a creature of the imagination, of course. The dragon in the Orient is regarded as one of God following Buddhism, and it is enshrined as to control rain and water. 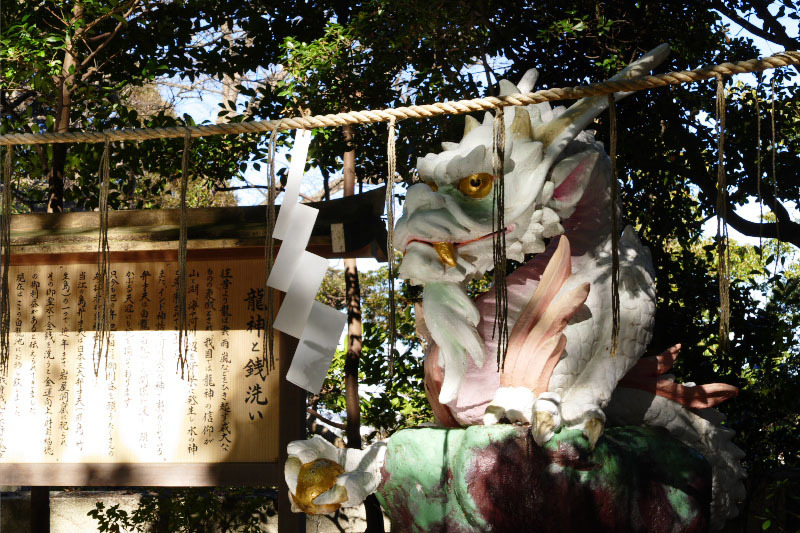 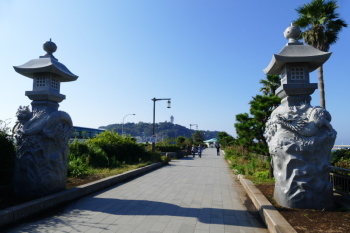 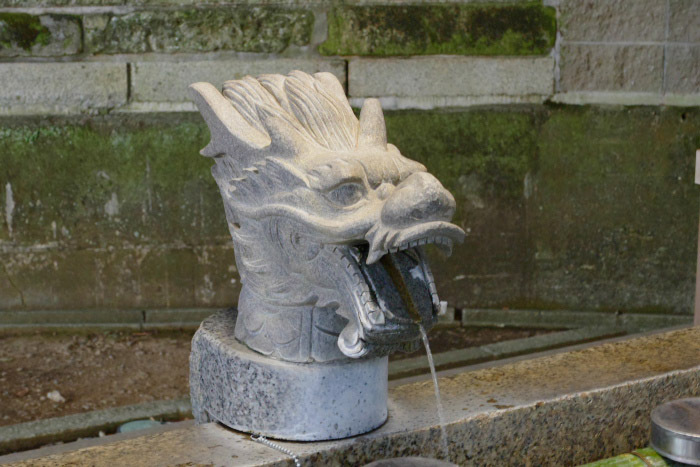 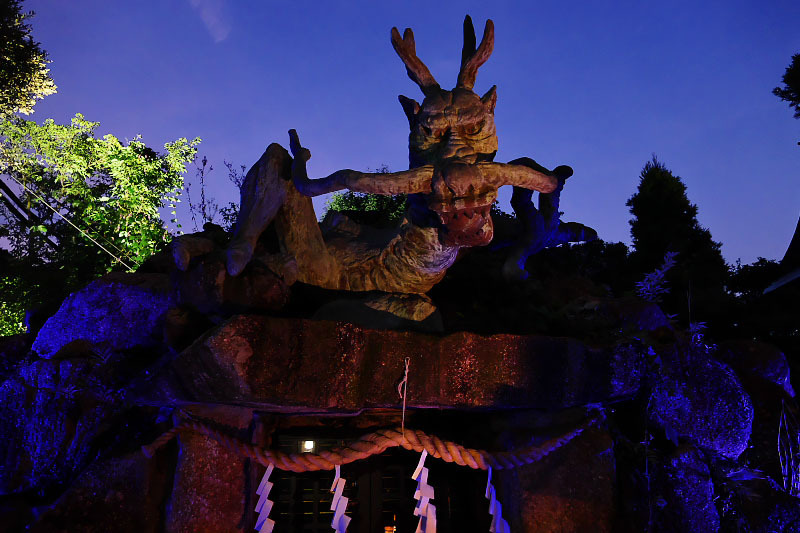 Especially in Enoshima Island, the dragon is enshrined as a god and the guardian angel that brought prosperity and peace in the area. 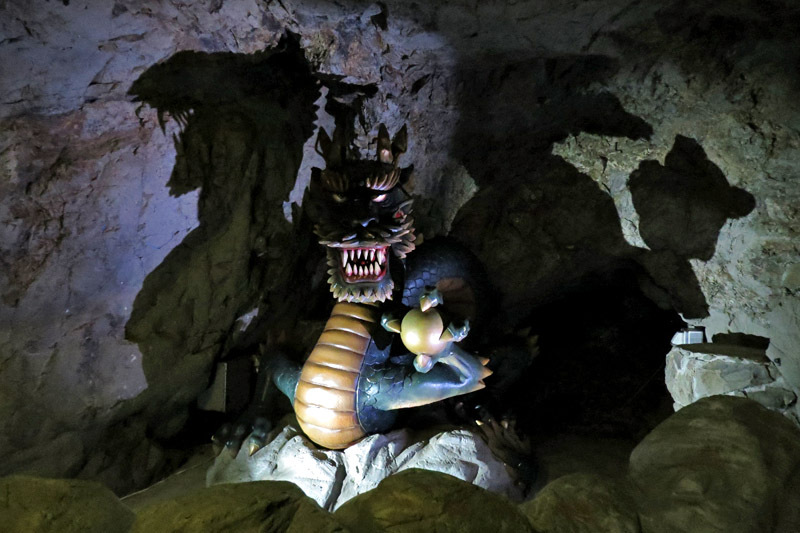 Therefore a lot of place and objects in connection with the dragon exist around the island.